Nutrition	Coffee Blocks – Is this the best idea yet when it comes to natural healing? Acne is just about one of the worst skin conditions there is to have, mainly because it’s persistent and it makes us feel extremely insecure. 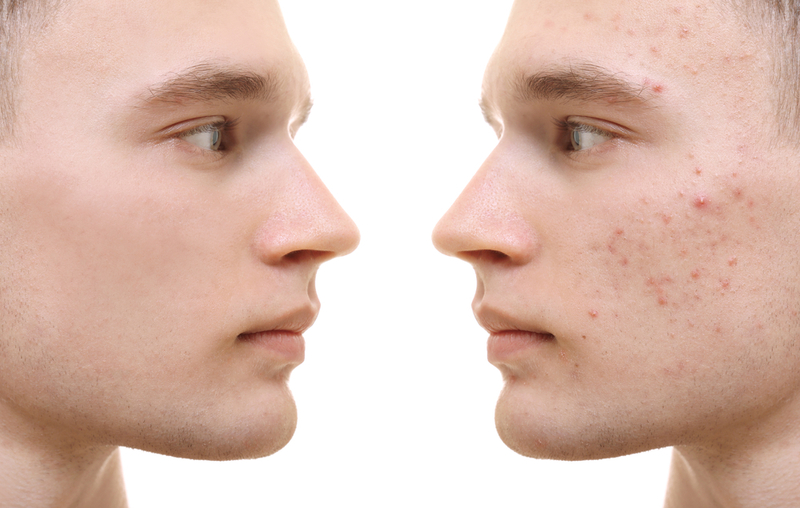 The worst part is that acne can stick around for a long time, and when it does stick around, it requires its’ ‘victims’ to go on a medication regime, typically consisting of oral medications and topical solutions, creams, or ointments. And yes, it’s true, some of these oral and topical medications may provide immediate relief for the time being, but overall, they just aren’t that good for the body. In fact, most of these medications carry with them unwanted side effects for their users, in turn making people unsatisfied with the end results. You’re in your teens, 20s, or 30s, whichever makes the most sense to you personally, and you’ve either just started having issues with acne, or you’ve always had issues with acne. You’ve tried everything; I mean, you’ve tried different oral medications in which your body has become immune to. You’ve tried all sorts of creams, ointments, and topical solutions. You’ve even tried some natural supplements. And, after all of these ‘trials,’ you still seem to end up with pimple marks and acne scars. Why? Well, we don’t really know the definite answer to that question. Instead, we try our best to cope with the marks and scars. Did you know that there are safe alternatives to lean on, though? These safe alternatives can be used while you have acne, but they can also be used after the acne has gone away. In other words, you can also use them to get rid of the marks and scars I’m talking about. Let’s check out some of them below. Aloe Vera is an outstanding ointment packed with several vitamins and nutrients. This potent natural topical medication actually heals the skin and helps to fade the scars away. Additionally, Aloe is very gentle on the skin, therefore you don’t have to worry about further irritation on your face. And, because Aloe is a natural moisturizer, it’ll help leave your skin looking and feeling better. Tip: Use fresh organic aloe if you can. 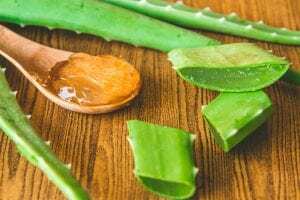 Though pharmacies and local convenient stores may carry the product, the best and healthiest form is fresh organic aloe. Plus, aloe plants are an easy find and require very minimal maintenance. All you have to do to get the gel out of the plant is break off a small leaf, peel the top layer off of the leaf to expose the gel, and massage the gel slowly into the affected areas. Try to leave it on for up to half an hour to get the best results, and then rinse it off. If you know your facts about baking soda, you probably know that it can be used for hundreds of things. For the purpose of this article, we’ll focus on its ability to help with acne scars, though. If you didn’t already know, I’ll tell you: Baking soda has an ingredient within it known as sodium bicarbonate crystals. These crystals exfoliate the skin when used as a facial scrub. All you have to do is mix the baking soda with a little bit of water and massage it into the skin where the scars are present. Only leave the thick paste on for a few minutes, though. This will allow the mixture to clean your pores of all that junk and prevent future acne from arising. After the minute or two is up, rinse your face with lukewarm water. Do this every other day for the best results. Coconut oil is great for moisturizing purposes and it has a ton of different healing properties. All you have to do is scoop a little bit of organic virgin coconut oil (preferred type) into a bowl and let it melt as it adapts to the temperature of the room. Once it’s melted, dip your fingertips into the oil and gently massage it onto your face where the acne or acne scars are. Allow the oil to soak into your skin, do not wipe it away. You don’t have to wash the oil off of your face, either. In fact, I recommend you leave it on and allow your skin to really soak it in to get the ultimate result. Tip: If the oil is too heavy on your skin, just try to keep it on as long as possible. The recommended application time is approximately 30 minutes. Vitamin E is great for healing acne scars. All you have to do is take a vitamin E capsule, puncture it some way or another, and squeeze the liquid out onto your finger or hand. Apply it directly or mix it with your favorite daily moisturizer, and you’ll be on your way to healthier skin. Believe it or not, cucumbers are very popular for facial treatments, and for many reasons. First, it’s a natural hydration mechanism, second it has both vitamins A and C, and third it contains magnesium. All you have to do is go to your local market, pick out a cucumber, go home, slice it thin, and put the slices on your skin. Leave them there for about thirty minutes and then rinse your skin with cold water. You can do this every day if you’d like. Lemon juice can do pretty much everything for your skin; It can get rid of scars, promote healthy healing, and even revitalize that skin of yours. All you have to do is squeeze the juice out of a lemon and put it into a bowl, and then dab it over your scars with a tissue or cotton ball. If your skin is a little sensitive, don’t worry, just dilute the juice with some water. After you’ve applied the solution, rinse it off with cool water and use a nice moisturizer so your skin doesn’t get too dry. Keep in mind, lemon juice does make your skin sensitive to UV radiation, so if you’re using this tactic, stay away from tanning booths and sunlight for a while. Potato juice is super good for healing your skin. All you have to do is slice a few skinny layers of an organic potato and apply them directly to scarred areas. You can even cut thicker slices and massage them into your skin. For the best results, leave the potato juice on affected areas for approximately 15 minutes and then rinse it off with warm water. Only do this once a day if you choose this route. Choose your remedy and you’ll be on your way.